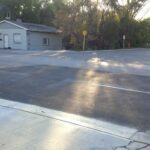 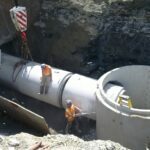 The Region Municipality of Peel Status: Completed Consultant: WSP Canada Inc. 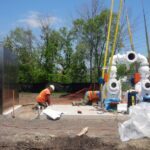 The work to be done under this contract consists of the installation and commissioning of a fully enclosed temporary pumping station and standby generator that has been pre-purchased by the Owner. 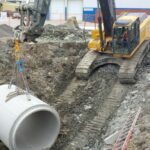 This contract required the supply of all material, equipment, and labour necessary for the complete construction of the associated linear works to facilitate flow diversion to the temporary pumping stations. 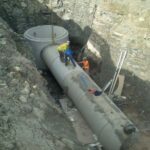 Linear works included extensive excavating in rock to a depth of 10 meters tying in existing MH and supply and installation of 1500 mm diameter RCP pipe, manholes and appurtenances. 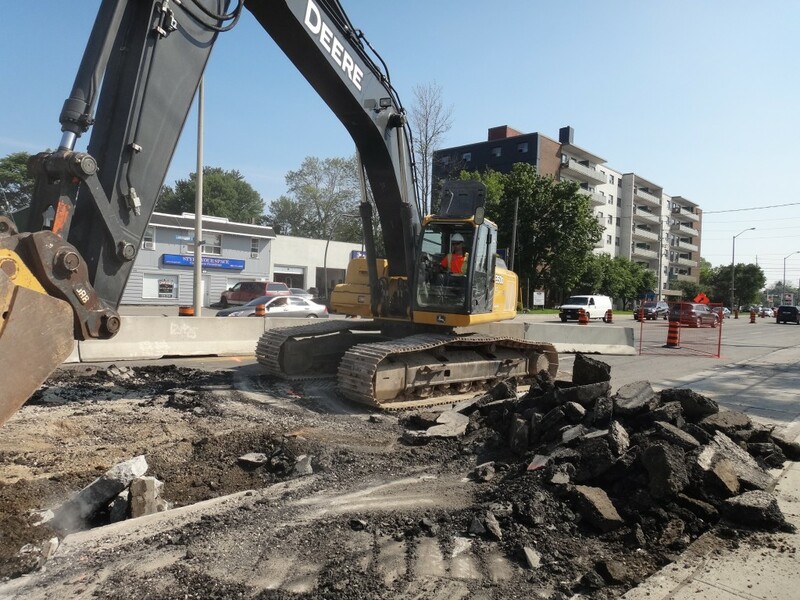 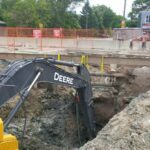 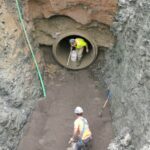 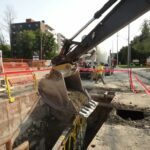 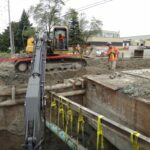 The pumping station suction lines will draw from a maintenance hole constructed as part of this project and discharge to an existing 750mm forcemain previously installed on lakeshore Road East in the City of Mississauga.